The voucher debate has been both intense and ideologically polarizing, in good part because so little is known about how voucher programs operate in practice. In The Education Gap, William Howell and Paul Peterson report new findings drawn from the most comprehensive study on vouchers conducted to date. 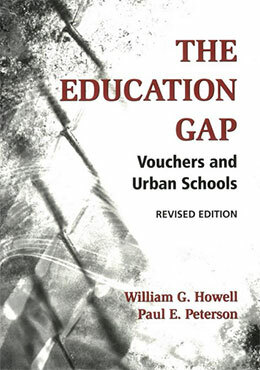 Added to the paperback edition of this groundbreaking volume are the authors’ insights into the latest school choice developments in American education, including new voucher initiatives, charter school expansion, and public-school choice under No Child Left Behind. The authors review the significance of state and federal court decisions as well as recent scholarly debates over choice impacts on student performance. In addition, the authors present new findings on which parents choose private schools and the consequences the decision has for their children’s education. Updated and expanded, The Education Gap remains an indispensable source of original research on school vouchers.